Climate control isn’t really possible at an outdoor venue like the Hollywood Bowl, but the skies knew better than to rain on Barbra Streisand’s parade Friday evening. They threatened, but Mother Nature wasn’t about to launch an all-out assault on this Brooklyn-born, Malibu-enthroned diva. It may have been too chilly for top-notch singing, but icons of a certain age don’t have to prove themselves night after night. Twinkling is enough for their fans, and Streisand did more than hover like a distant planet and glow. Babs’ reputation for strong-arm perfectionism is as integral to her myth as lightning bolts are to Zeus’, but time seems to have mellowed her. She kept talking about heaters and fussing with the wrap that was the only thing standing between her glamorous black ensemble and the wind. Yet no cold November air was going to thwart her from delivering a full-scale show, no matter the frost on her vocal cords. She came, she croaked, she conquered. Friday’s performance at the Bowl, one of two shows this weekend (the second is Sunday), wasn’t just a concert. It was a chance to spend some quality time with a legend and take in some of the sights and sounds of her alternate reality. The evening’s talky rhythm, filled with more asides than a Shakespeare tragedy, put the audience immediately under the spell of her folksy grandiosity. Streisand, at 70, isn’t just a star — she’s a worldview, a style of being, an entire cosmology. You don’t just come for the music; you come for the whole church service. The sermon, broken up into bits, is inseparable from the songs. This “Back to Brooklyn” tour touched down last month at the new Barclays Center in Brooklyn, and Streisand was in a sentimental state of mind. (Her latest recording, “Release Me,” a collection of songs that didn’t make it onto her past albums, is part of this nostalgia project.) Images of her career flashed up on giant screens to jog memories and set in motion interior monologues within the mostly 45 and older crowd. Elegantly supported by a grand orchestra, Streisand played den mother to the teenage Italian singing trio Il Volo and innocently flirted with jazzy instrumentalist Chris Botti. She paid tribute to Marvin Hamlisch (using the original orchestration for “The Way We Were”) and Jule Styne (giving us a taste of what her Rose in “Gypsy” would be like). A home movie, made by Streisand’s son Jason Gould, might be interpreted by a psychoanalyst as an Oedipal complex collage, but it was all the sweeter for being so nakedly tenderhearted. When Gould came onstage for a duet of “How Deep Is the Ocean?”, a kvelling Streisand made Jewish mothers of us all: What a nice a boy and he sings almost as good as his mother! Yes, indeed, this was a family affair. Streisand’s sister, Roslyn Kind, joined in the musical fun during the encore after the two listened to a few operatic strains of their mother on tape. There was politics too, naturally enough, but celebratory remarks about the election were saved for the most part until the very end when conservative fans could make a beeline for the exits without seeming overly huffy. But Streisand’s traveling variety show is predicated on her golden pipes. Time hasn’t left her voice unscathed. It’s huskier and less supple, but it still retains those signature features (the tuneful nasality and extravagant emotional clarity, chief among them) that have made it one of the most compelling sounds in popular music for the last half century. Streisand’s upper register was less accessible and the breathy coloratura styling that gave her songs such a distinctive imprimatur has diminished, but she can still belt with the best of them. And long past the need for showing off, her interpretations have a relaxed freedom that is a pleasure all its own. A bit wobbly in the beginning, her singing grew stronger as the evening wore on. And though she had trouble competing with the memory of her younger self when performing some of her biggest hits, such as “Evergreen” or “Enough is Enough,” her rendition of “People” was infused with a powerful warmth that momentarily took the sting out of a cold autumn night. High on the list of Barbra Streisand’s signature characteristics – singular vocalist, screen icon, Democrat activist, funny girl – is a trait that has been the Achilles’ heel of many an aging legend: consummate perfectionist. She’s the sort of micromanaging star, so driven by details, that wouldn’t think twice about telling a 60 Minutes crew what lighting and camera angles best capture her, as she did during a famously combative 1991 interview with Mike Wallace. Such fierce determination, so accepted from men but not always so from women, has long been Streisand’s prime motivator; that plus virtuosic talent is what has set her apart from the moment she arrived on Broadway in 1962. It’s also what has ensured that her late-career touring productions – starting in 1994 (her first outing in 27 years) and followed by “farewell” arena runs in the ’00s and her just-ending American crisscrossing – have all been as immaculate as her studio recordings and directorial efforts. So, no matter how finger-numbing chilly it got Friday night, it was still marvelously refreshing to witness Streisand not only in full command of her instrument but also out of her element, braving frosty air and gripping winds at the Hollywood Bowl. Why do that when just a traffic-clogged drive away Staples Center sits dormant and dark all weekend? Because there’s no significance to seeing her at Chez Lakers anymore. This particular evening marked the first Bowl appearance of one of the world’s greatest singers since July 1967. As Streisand pointed out in the finer opening half of her lengthy, stunning, often masterful performance, the first time she played the Bowl – “sandwiched between the Dave Brubeck Quartet and Sammy Davis Jr.” – was in 1963, back when the pool area ahead of the garden boxes actually held five feet of water, not people. Coincidentally, that was the same year she met Marvin Hamlisch (then rehearsal pianist for Funny Girl) and married Elliott Gould (whose son by him, Jason, had his own spotlight late in the show). Yet, though her ’67 performance came shortly after a moment of forgetful fright during the taping of A Happening in Central Park (she blanked on a few lines of “Value”), that NYC incident filled her with such self-doubt that Streisand pulled away from widespread touring altogether, diving deeper into her varied recording and Hollywood careers, both hugely successful and peppered by a flop or four. These days Streisand comes well-seasoned. It may have been six years since her last outing, but she has essentially picked up where she left off, further downplaying theatrics in favor of achieving palpable jazz-club intimacy, despite playing very large spaces with a sprawling orchestra. The difference is in her slightly relaxed manner: What in ’94 and ’00 felt perfectly constricting was opened up just enough by the looser ’06 shows that by ’12 she’s completely comfortable with winging it when the mood arises. Yes, her evening was preplanned right down to the canned banter with her guest stars, including young Italian pop tenors Il Volo (who were satisfactory but after a duet on “Smile” mostly showed off and killed time) and acclaimed trumpeter Chris Botti (a remarkable talent whose tone nonetheless came drenched in reverb, which didn’t always mesh so well during duets like two from 1976′s A Star Is Born, “Lost Inside of You” and “Evergreen”). 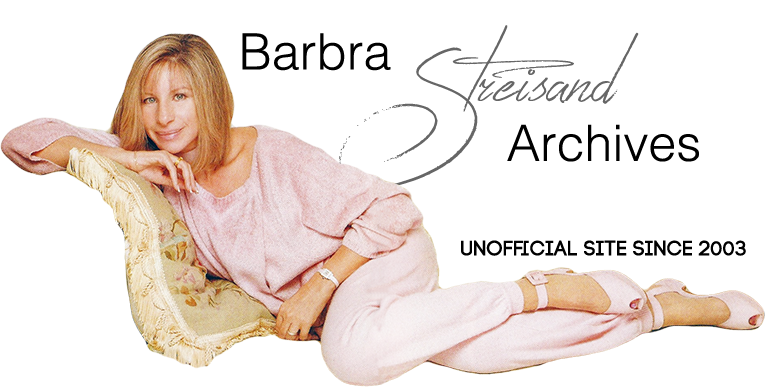 Yet Streisand spent just as much time going off script – primarily to comment on the cold – that quickly a coziness developed, enough to warm your insides if not the night air. I wonder if she’s ever performed extensively in an outdoor setting since her 1986 concert One Voice. That backyard party played out before invited friends at her Malibu home the weekend after Labor Day. In other words: beautiful weather. Whoever routed this trek to end at the Bowl in November ought to be demoted. All of that is enough to knock a diva half Streisand’s age off her game for a night, even 91 shows in. Of course, with those other powerhouse, 91 shows transpires in about a year and a half. As Streisand underscored, noting she’d finally reached that number, it has taken her entire life to get close to a hundred. Thus, even with her now at fairly regular touring pace and, for a change, not vowing to stop, such rare opportunities to witness her live come with extra charged atmosphere (and hefty price tags). Granted, that special feeling would dissipate in a hurry if Streisand didn’t also deliver, but she does so immediately: the moment she sings, you know you’re in the presence of unusual greatness. Just how overwhelming is her voice? I, too, think Marvin Hamlisch was a musical genius, yet you’ll never catch me willfully listening to “The Way We Were.” But the emotional conviction Streisand brought to misty water-colored memories for her lifelong friend and collaborator – dramatically enhanced by both the original arrangement of that song and an excerpt from another, more forgotten sentimental gem from the composer, the Ice Castles theme “Through the Eyes of Love” – well, that was enough to make my eyes well up. I’ve rarely heard anyone mourn someone in song so movingly without falling into a heap of tears herself. All of that was sweet, but like the Il Volo and Botti bits, they didn’t add value to the experience so much as took time away from the main attraction. The first half was better because of selections (a sublime “Bewitched, Bothered and Bewildered,” a medley of tough-gal Jule Styne material culminating in a gutsy “Don’t Rain on My Parade”) but also because there was simply more of Babs. I bet people who spent several hundreds to be at the Bowl would have been just as pleased with a 100-minute, nonstop set featuring no one but her. The one novelty I’d keep (if also improve and expand) is a Q&A segment, with Streisand reading from fan-written cards. I’m not sure I believe all of them were penned on the spot – the one that led into a snippet of “Enough Is Enough (No More Tears),” her 1979 disco hit with Donna Summer, definitely came in handy, just as it has when she’s offered a sliver of “Stoney End” or “Woman in Love” at other stops. That got a knowing rise out of the crowd. Is she worth it? Who’s to say? Disgruntled fans and outright haters, who inevitably will graffiti this review with negative comments, will say no. There is, however, an argument I’d like to hear her defend: How can someone who so firmly stands up for the rights of the disenfranchised and downtrodden charge so much money for concert tickets that not even middle-income fans can afford to see her? That’s what I wonder when I’m home armchair theorizing, anyway. But while I was sitting at the Bowl, feeling the freezing blood in my extremities resume circulation every time Streisand nailed another glorious high note or sustained a riveting coo, she sure seemed worth every penny I fortunately didn’t have to spend. Barbra was in great voice, soaring and singing just beautifully. Barbra was thrown by the cold in the first few songs and joked about it. By Didn't We, she had gloves on; As she left the stage in Il Volo's hands she joked, "I was going to slip into something more comfortable but I think I'll put on a coat!" ... and sure enough, when she came out in her sparkly pantsuit after Il Volo, she had donned a furry coat. Barbra mentioned how nice it was to be back home in L.A. and sleep in her own bed; she also admitted the roses on her table were from her garden and had much better fragrance than the hothouse-grown roses on tour! Rose's Turn just keeps getting better. I could really see Barbra acting the song last night and it was just incredible. It was cold. I underestimated how cold it was a the Bowl! I decided not to wear my "warm" outfit and settled for my "cute" outfit ... and regretted it at intermission! LOL. That being said, it was an incredible experience seeing Barbra in the venue -- they even used some of the photos from my 1963 Hollywood Bowl page on the Jumbotrons when Barbra's patter referenced the previous times she'd performed there! In Barbra's opening patter she remembered the reflecting pool that used to be in front of the stage in the 1960s. End of Act 1, following Gypsy/Parade: Bill Ross played the Gypsy coda followed by what sounds like original Funny Girl exit music. Then they brought the house lights up. I didn't hear that music bit in Brooklyn. Did they add it on the road? I really enjoy the Botti/Barbra segment. Barbra and he make such beautiful music together. Again, the cold changed the way the did the show ... and I liked it. For instance, when Jason was on the stage, Barbra sat right next to him for "This Masquerade." For one, the heater was there (LOL! ), and secondly, there was no ramp or stage to go sit on like in previous cities. It was more "cabaret" and less "concert" -- but I liked it! It's the People/Here's To Life/Garden Grow section that always has me in tears. People was iconic and real last night. And Here's To Life was just beautiful. Barbra's coral gown was still in for the second act; she wrapped herself with a black shawl to keep warm. Before Happy Days with Roslyn, Barbra showed a photo of Franklin D. Roosevelt, Democratic nominee for President, at the Hollywood Bowl in 1932. That patter led into Happy Days. For those keeping track of changes from city to city: The Funny Girl overture was cut short last night; The second act opened with a shorter I Remember Barbra and segued into the Funny Girl clip; Barbra was played on after Chris Botti with "Sing A Song." Celebrity sightings: Bette Midler, John Stamos, Ted Danson & Mary Steenburgen, Sally Kirkland, Bergmans, Jesse Tyler Ferguson, David & Victoria Beckham, Ryan Murphy. Final thought: There's nothing like looking back and seeing a sea of people filling the Bowl, all there to hear Barbra sing. They were so respectful and listened so well. This is probably the last big Streisand show I'll see (unless she continues the tour or tours again?) ... so glad I went!